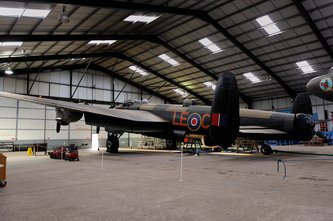 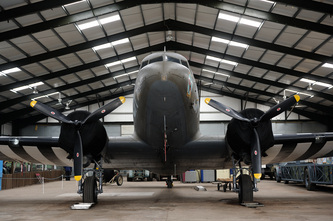 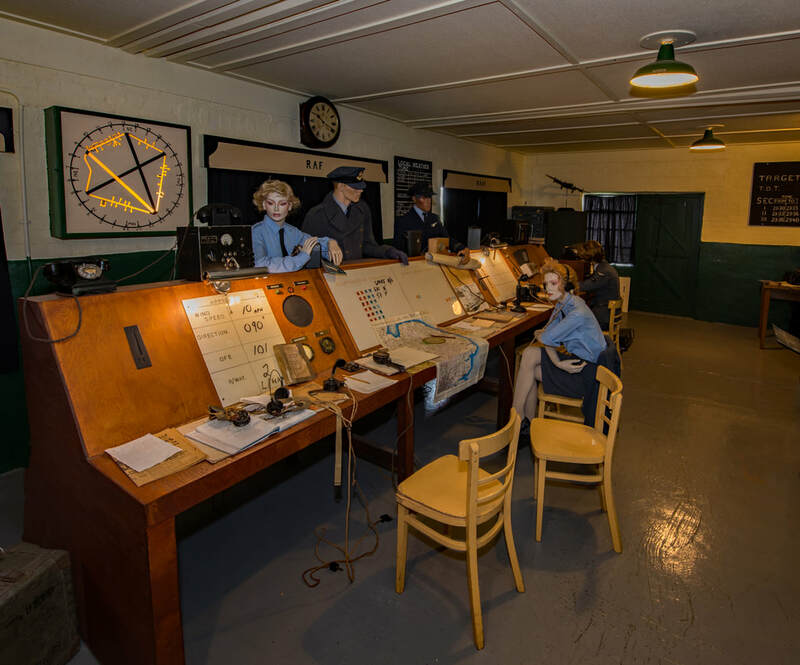 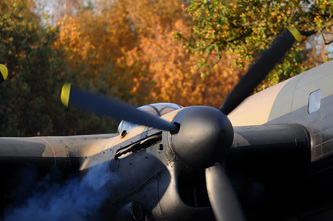 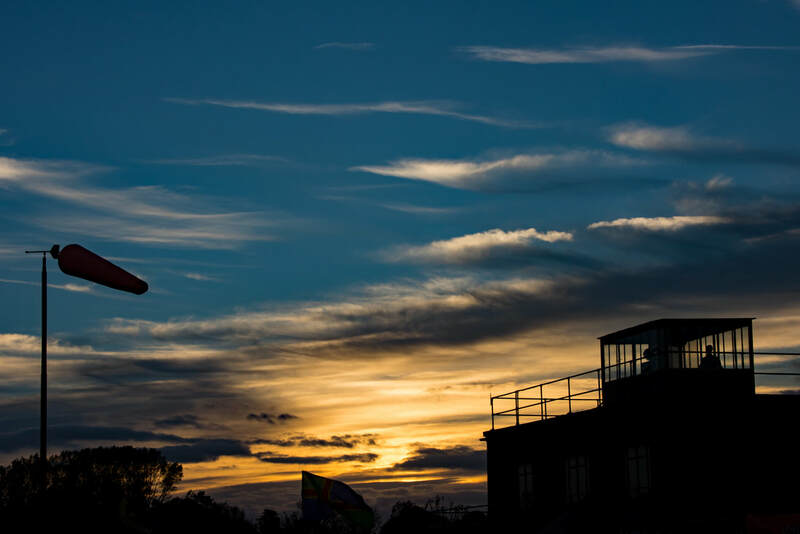 Located at the former RAF airfield of East Kirkby, The Lincolnshire Aviation Heritage Centre has established itself as one of the premier aviation sites in the UK, if not the world. 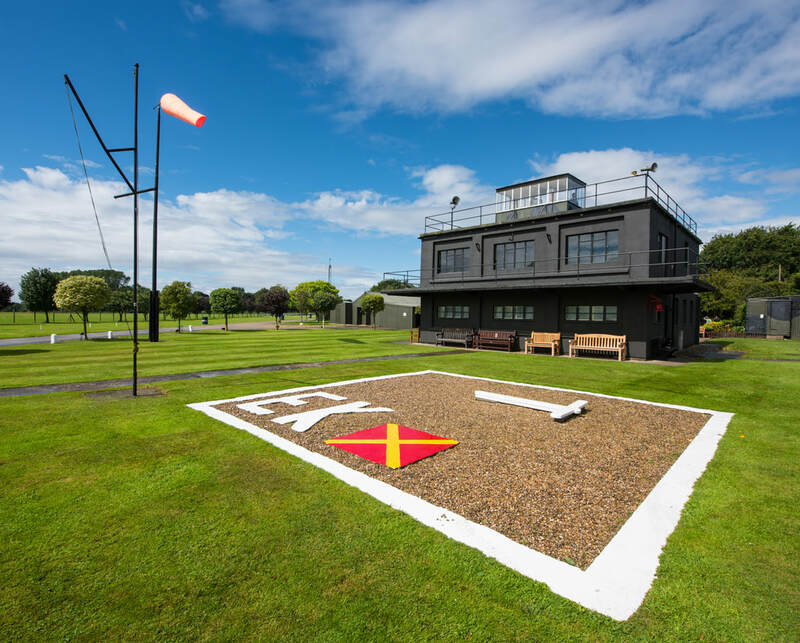 ​The Panton brothers, Fred & Harold have built the site in memory of their brother, Pilot Officer Christopher Panton who was lost on the Nuremberg Raid over the night of 30 & 31 March 1944 whilst flying as a Flight Engineer on Handley Page Halifax III HX272 'Nielson’s Nuthouse'. The Centre also commemorates all those who did not return from Bomber Command operations throughout the war. 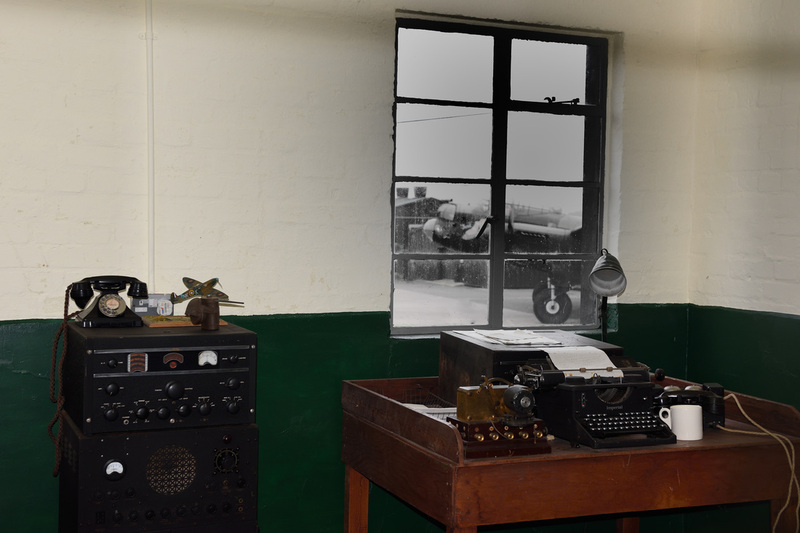 The Nuremberg Raid was the single biggest loss to the RAF bomber campaign where 94 aircraft did not return. 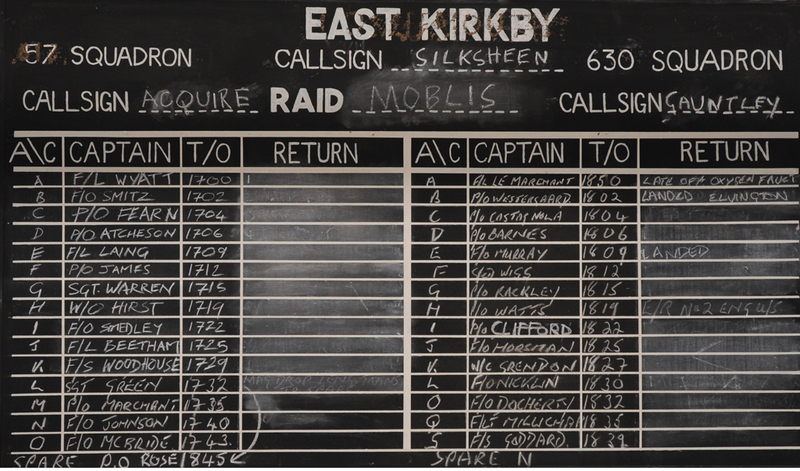 Silksheen, which was East Kirkby's call sign in wartime, dispatched 16 Lancasters from 630 Squadron of which 3 were lost on the Nurumberg Raid and 57 Squadron dispatched 18 Lancasters with 1 loss. 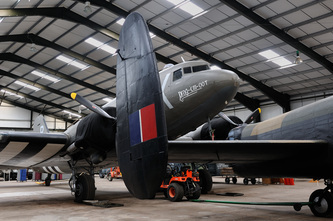 Silksheen lost many aircraft over the wartime period and the Lincolnshire Aviation Heritage Centre does a superb job in keeping the memories alive of all those who did not return. 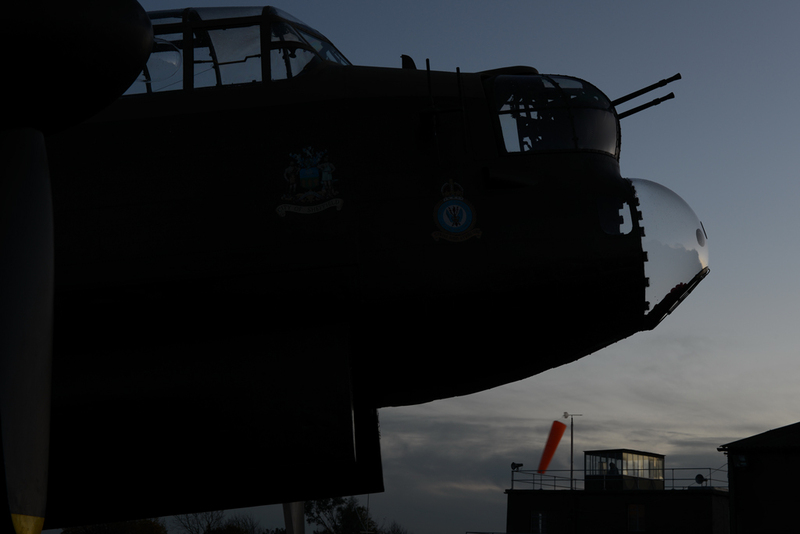 In reality those who were lost and those who served in Bomber Command have received very little recognition for their courage and sacrifice. 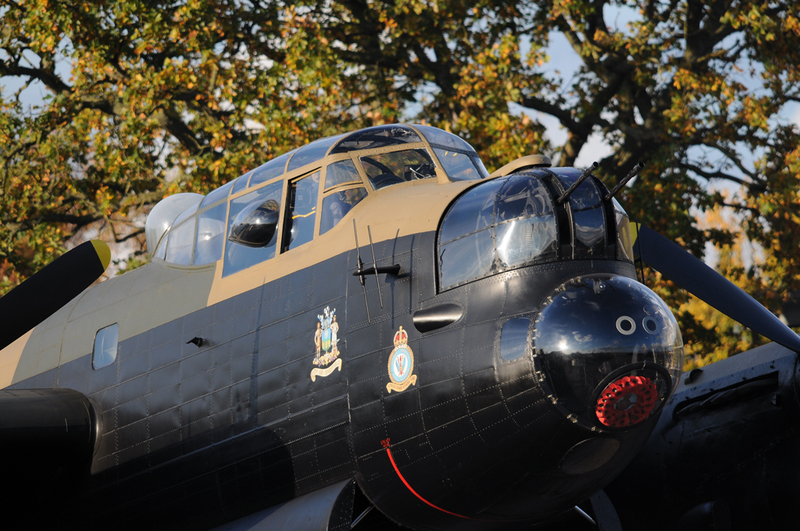 Luckily this has been addressed, although rather late in the day, with the opening of the Bomber Command Memorial in Green Park London. 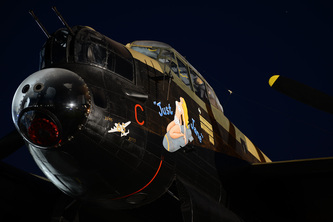 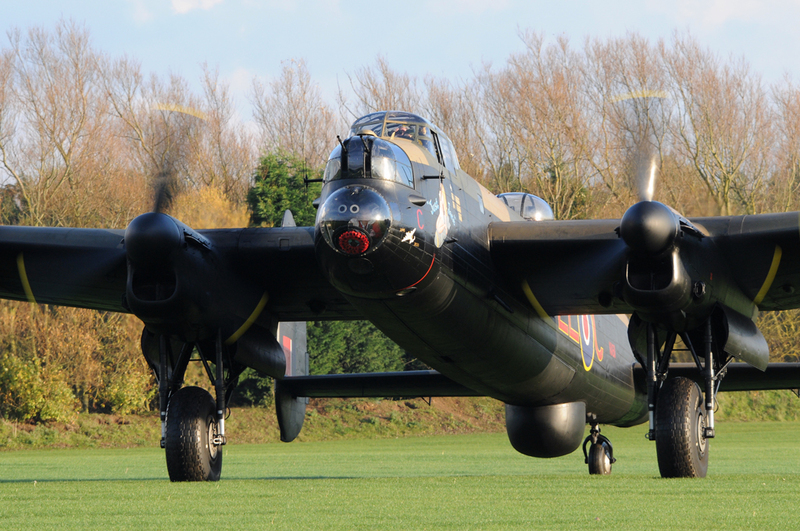 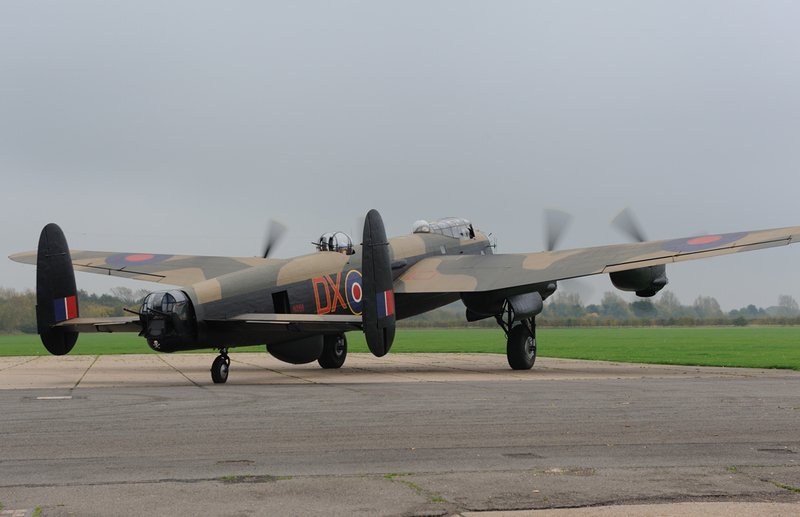 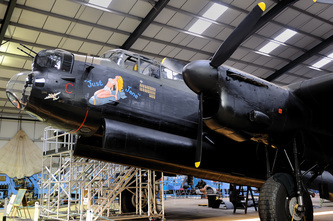 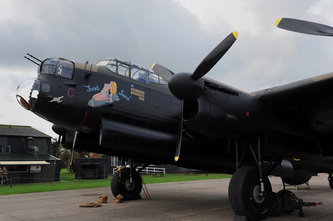 The star of the show at East Kirkby is Avro Lancaster Mk VII NX611, Just Jane. 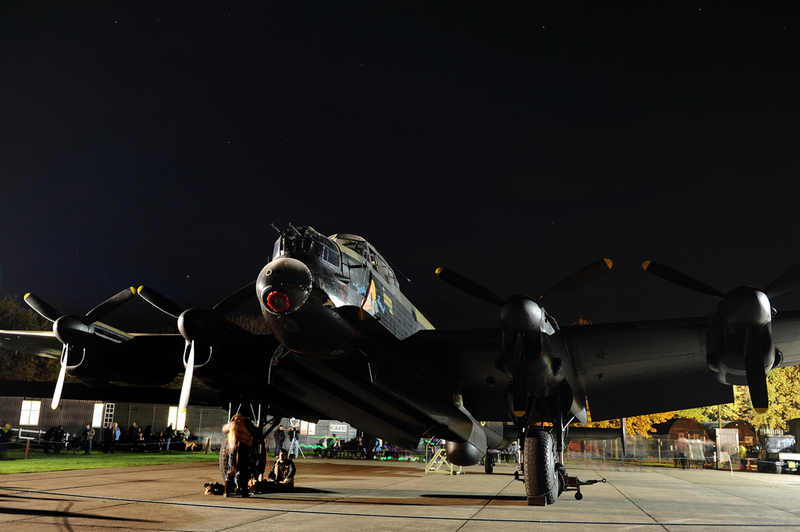 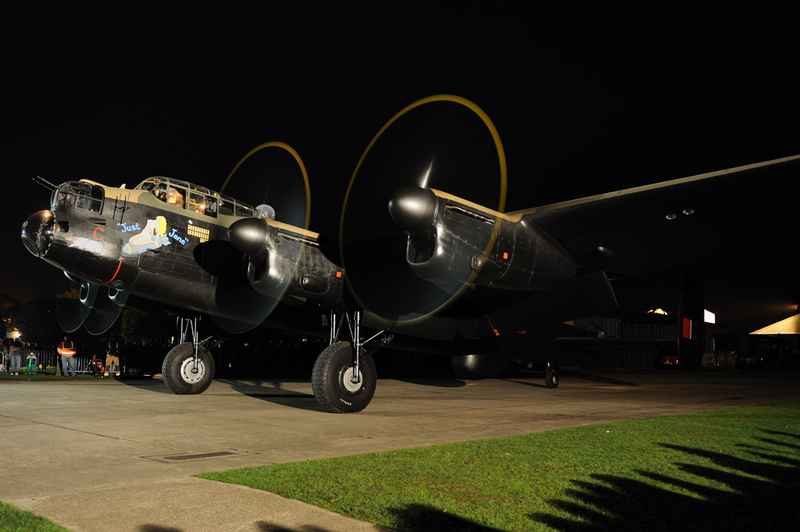 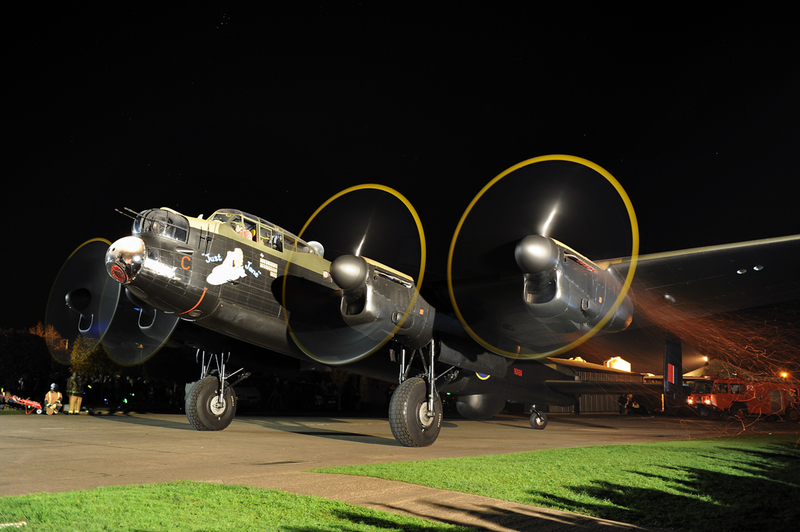 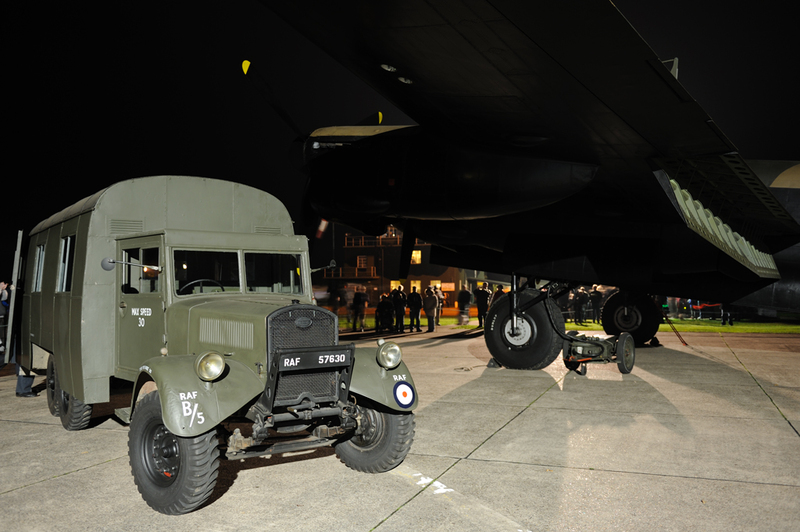 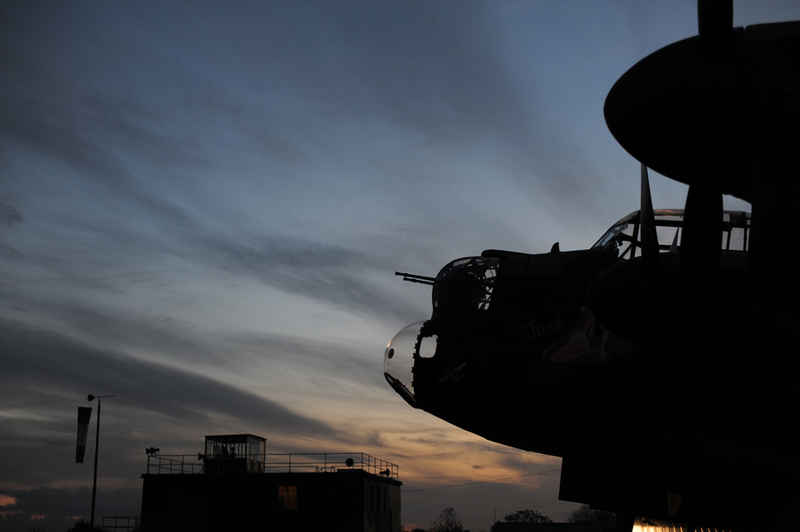 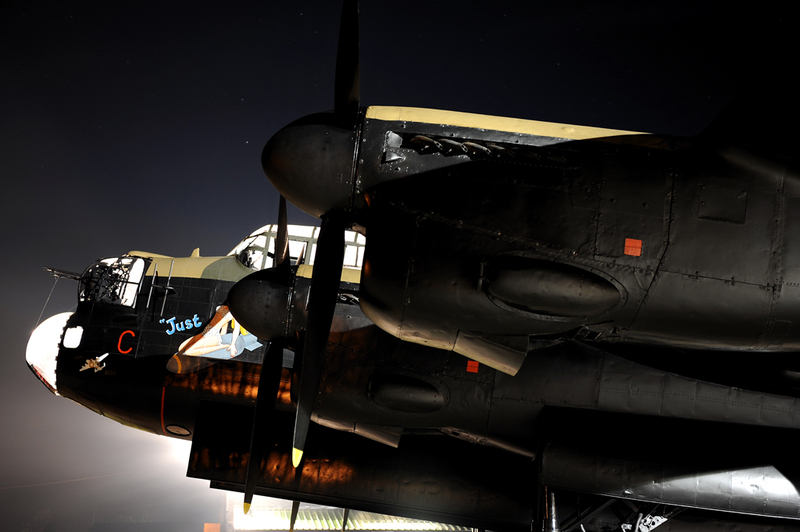 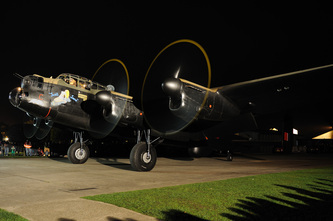 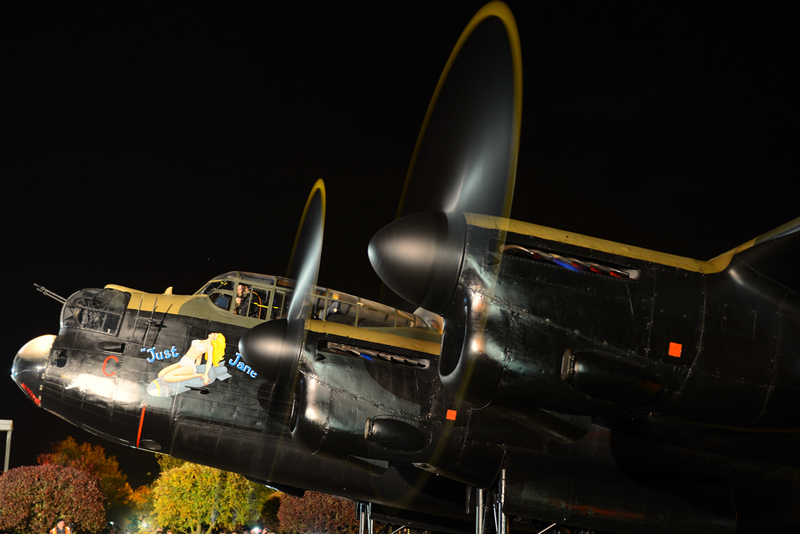 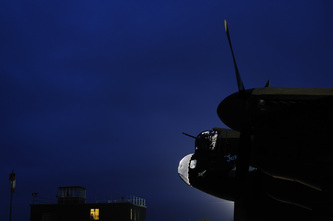 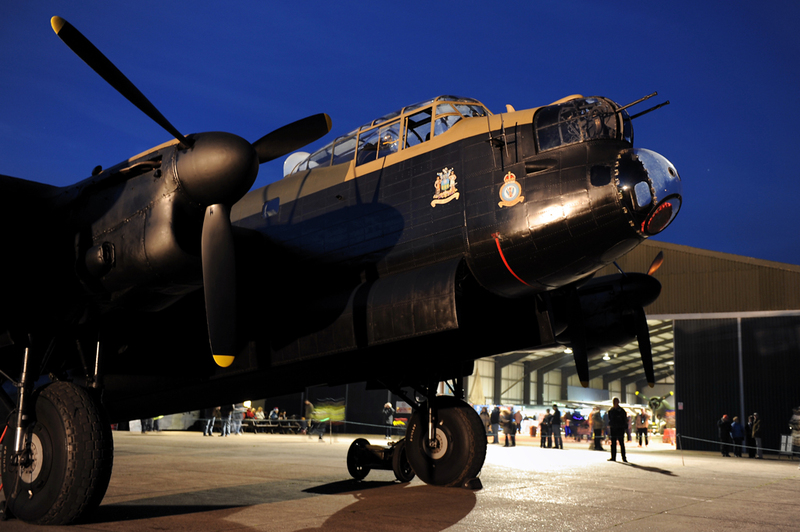 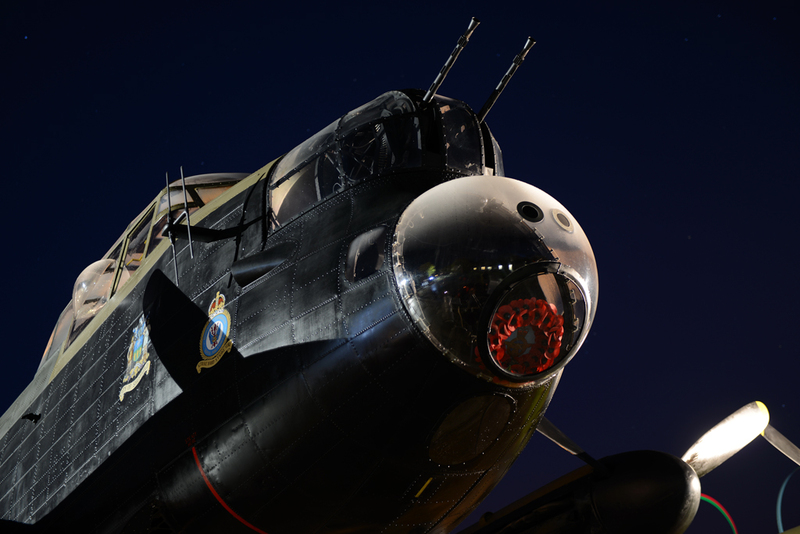 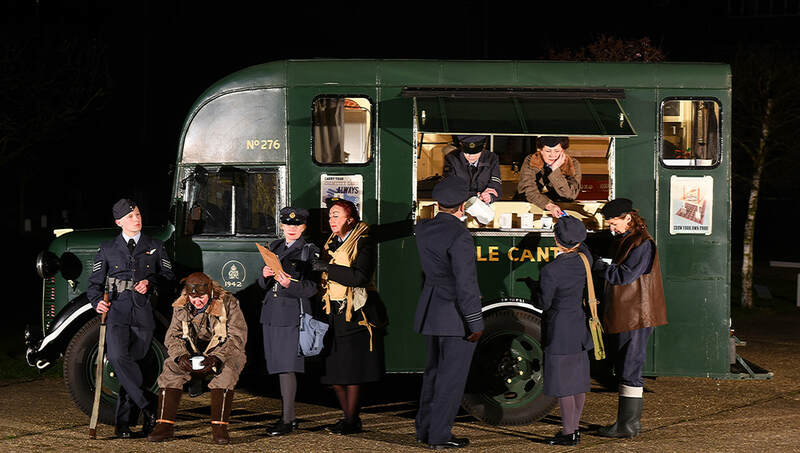 The Lancaster performs regular taxi runs at the Centre, but the highlight is the annual night taxi run which is a truly emotive occasion. 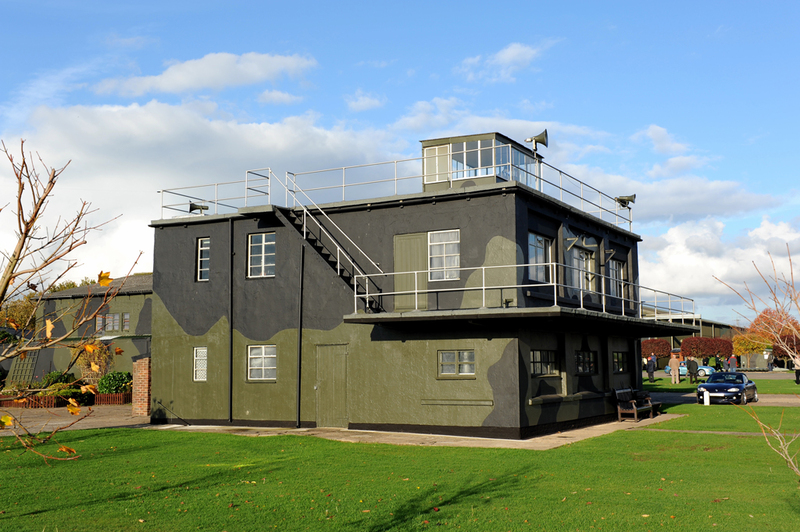 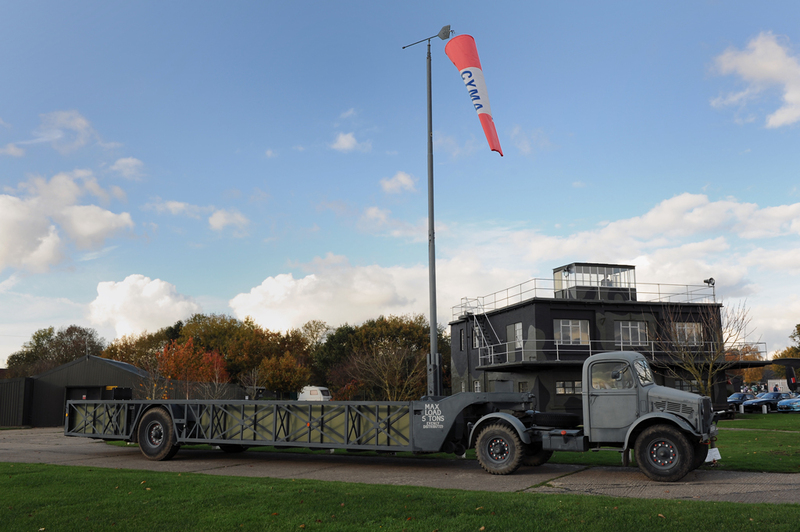 A visit to the restored Watch Tower is also a must as it brings to life many of the derelict ones we see on disused airfields. 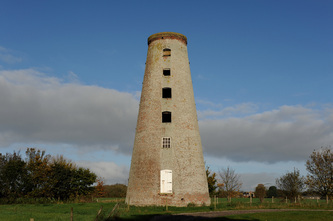 The Watch Tower was also the location of the emotive documentary made in the 1980's featuring the former Lancaster Pilot, Jack Currie. 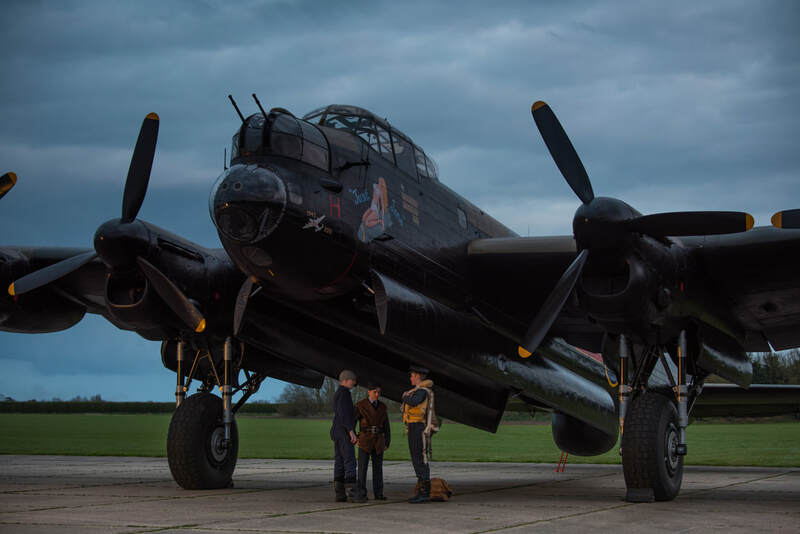 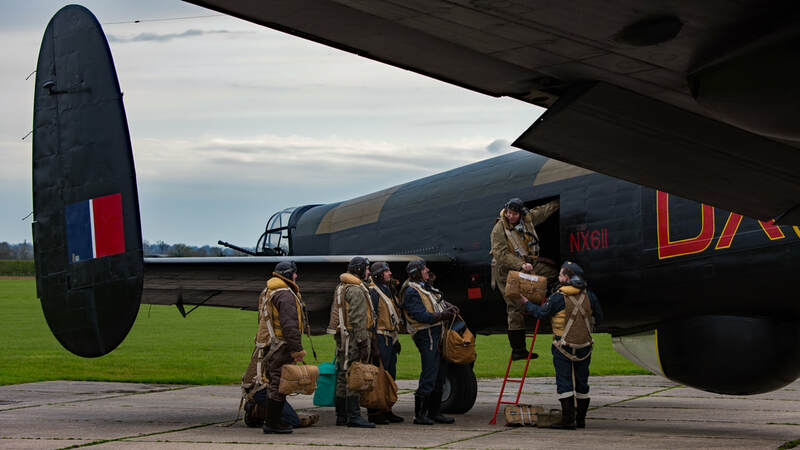 This documentary is a must see for anyone with an interest in Bomber Command history. 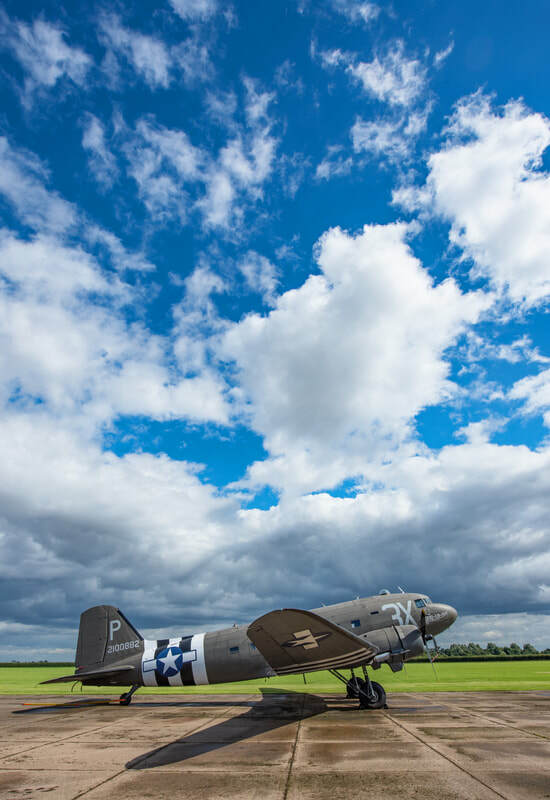 It was with great sadness that I learned of the sudden passing of Fred Panton on 9 June 2013. 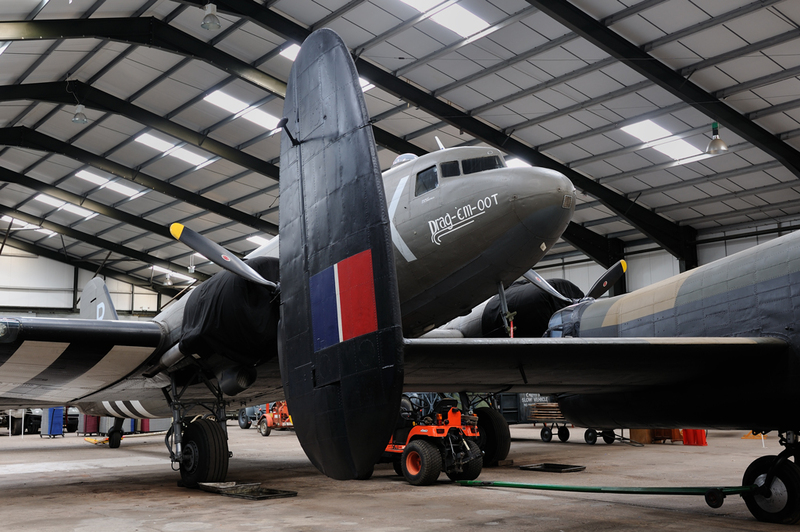 Fred was a true inspiration at the Centre and will be sadly missed. 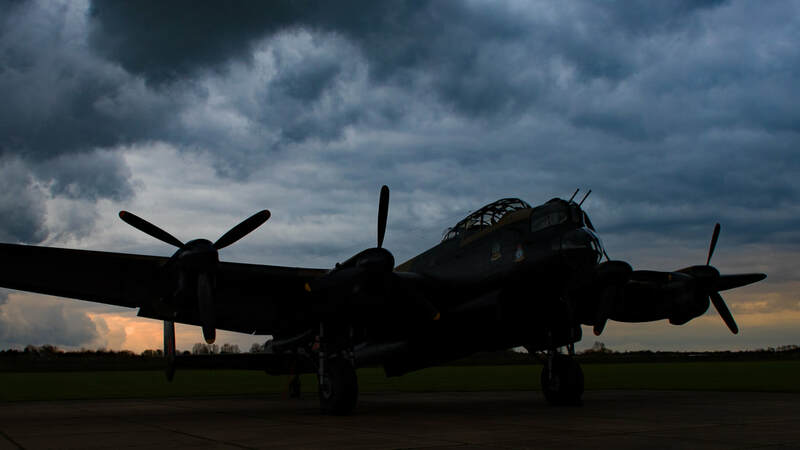 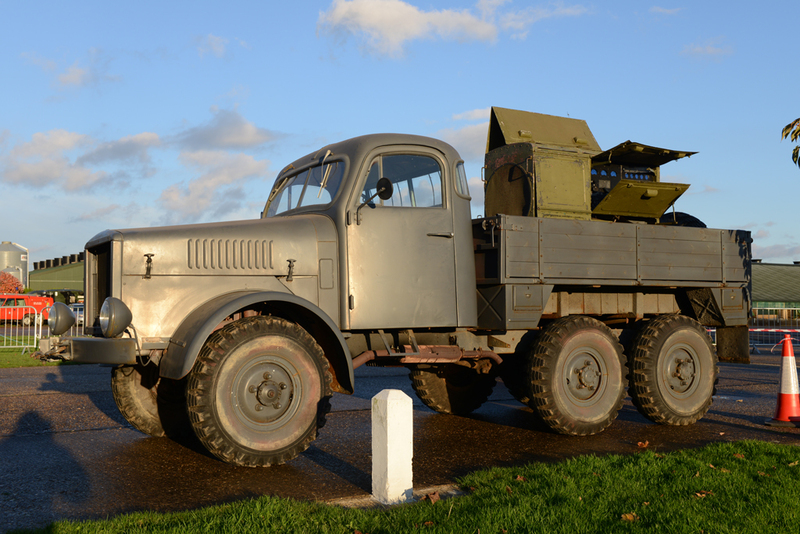 Lincolnshire has always been associated with 617 Squadron who undertook most famously the Dams Raid in May 1943 and many other high profile operations during World War Two. 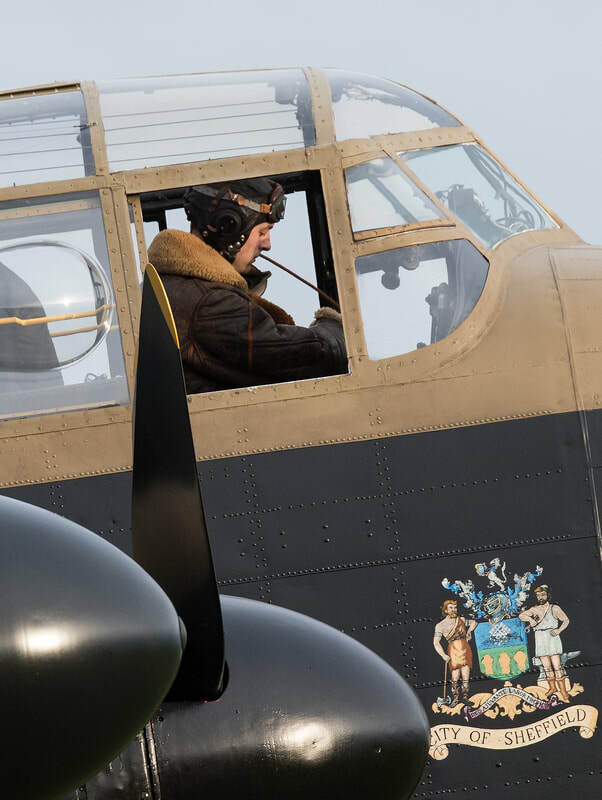 Without doubt the Squadron's most famous son was Guy Gibson who led the raid and was lost in circumstances not fully understood whilst flying a Mosquito with No 627 Squadron from RAF Woodhall Spa over Holland on 19/20 September 1944. 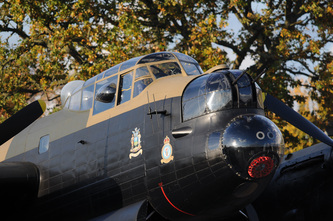 After the Dams Raid Gibson was taken off operational flying, much to his dislike, and was given a number of ground postings. 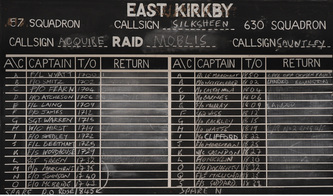 One of these was to East Kirkby where he assisted the base operations officer in planning raids. 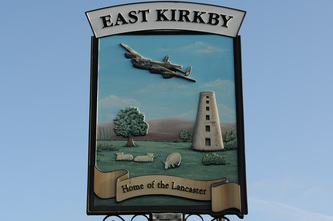 His stay at East Kirkby was brief and he moved onto RAF Coningsby as Base Air Staff Officer. 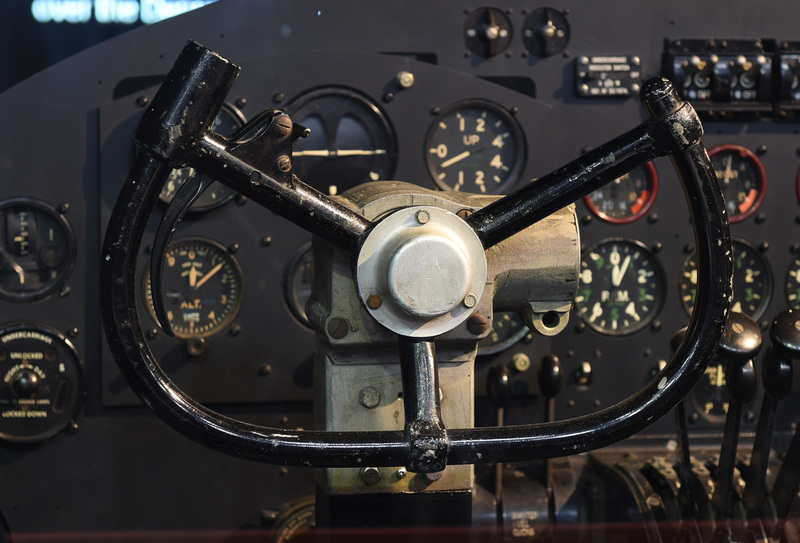 None of the specially modified Lancasters survived into preservation but East Kirkby do have the control yoke and throttle quadrant from Gibson's Lancaster B III Type 464 Provisioning ED932 AJ-G which was scrapped at Scampton after the war's end. One of the highlights of LAHC is the restored Watch Tower. 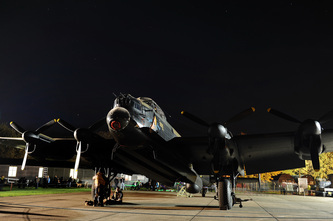 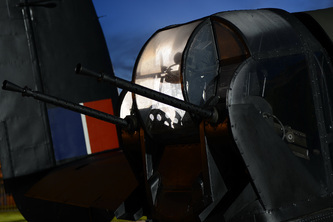 The tower has been renovated to show a typical scene during a night operation. 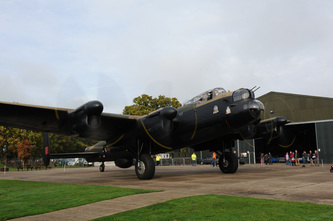 An audio soundtrack brings the tower to life and below the photo can be found a sound recording of Just Jane as she passes the tower after a taxi run. 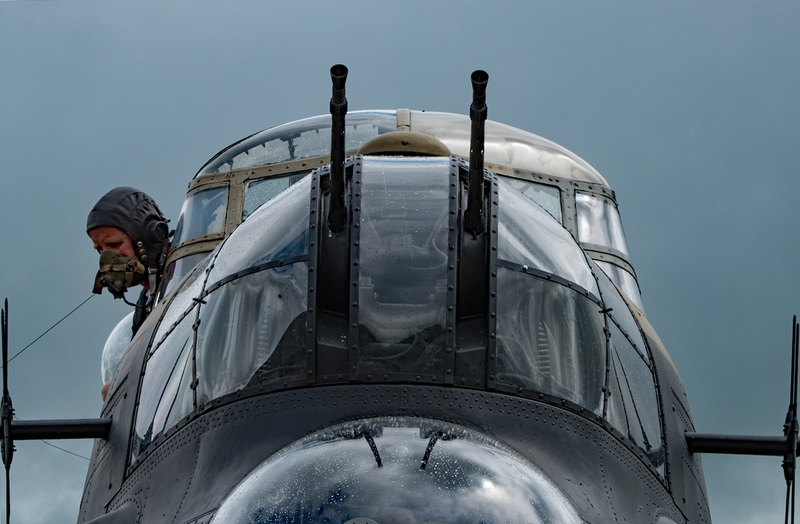 Let your mind wander and imagine this could have been what it was like over 70 years ago. 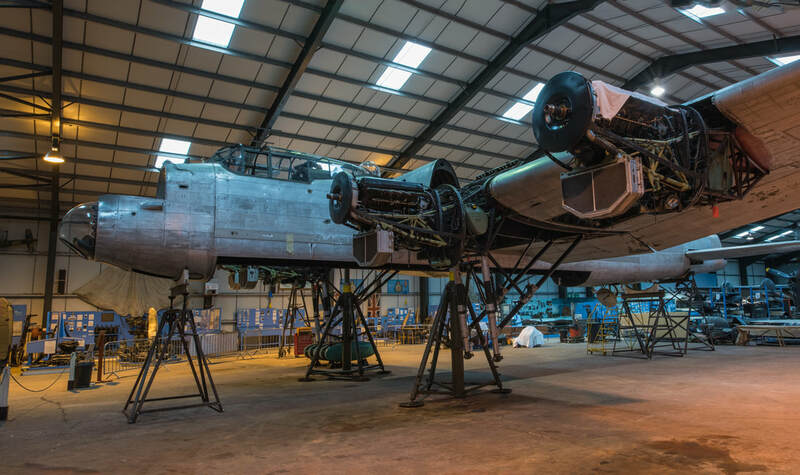 During the winter of 2016 - 2017, in a step towards returning to flight, NX611 was stripped of all paint to enable the airframe to be assessed and inspected. This gave the rare opportunity to see a Lancaster in a condition in natural metal finish, much like would have been seen on a production line. 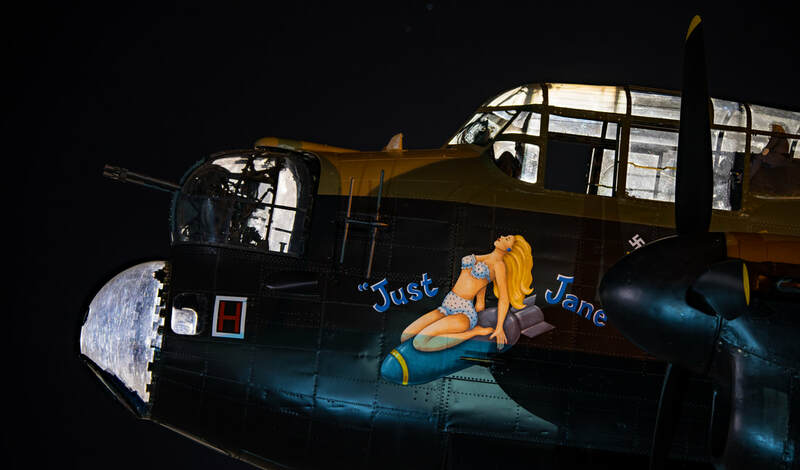 Just Jane earns revenue during the spring, summer & autumn months through taxy runs and to this end was repainted back to her normal colour scheme at the start of 2017 season. 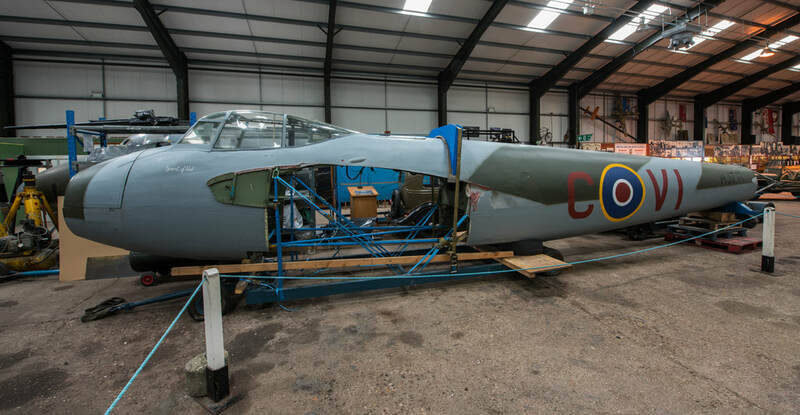 This is a process that will be repeated over the coming years to enable the return to flight. 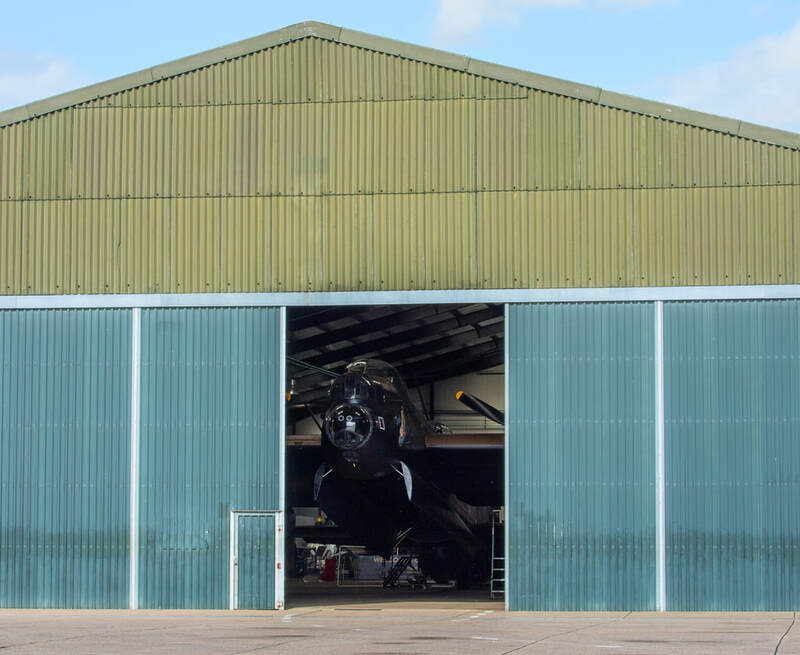 NX611 seen here in August 2017 following her repaint after the winter's restoration works. 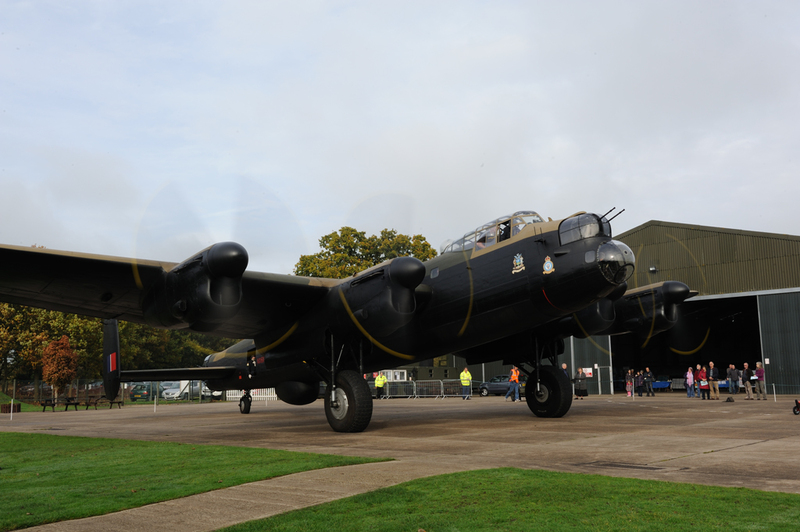 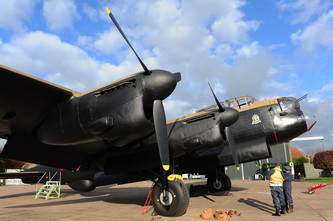 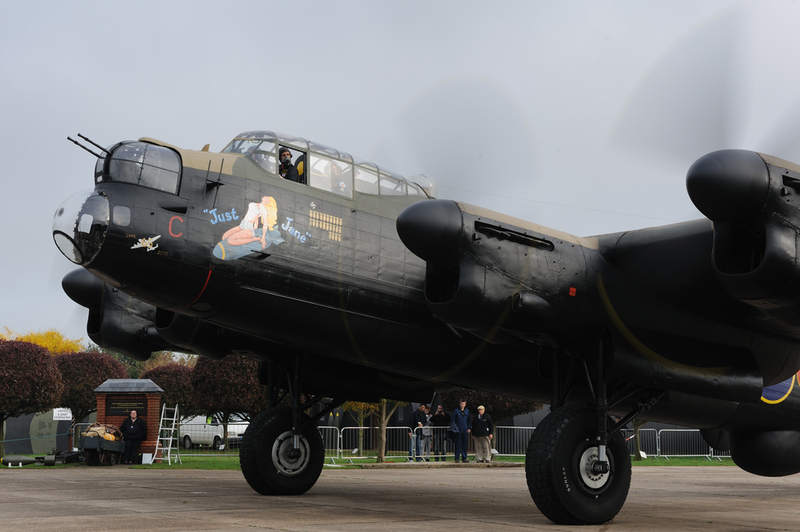 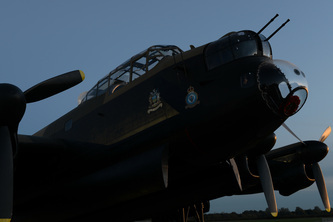 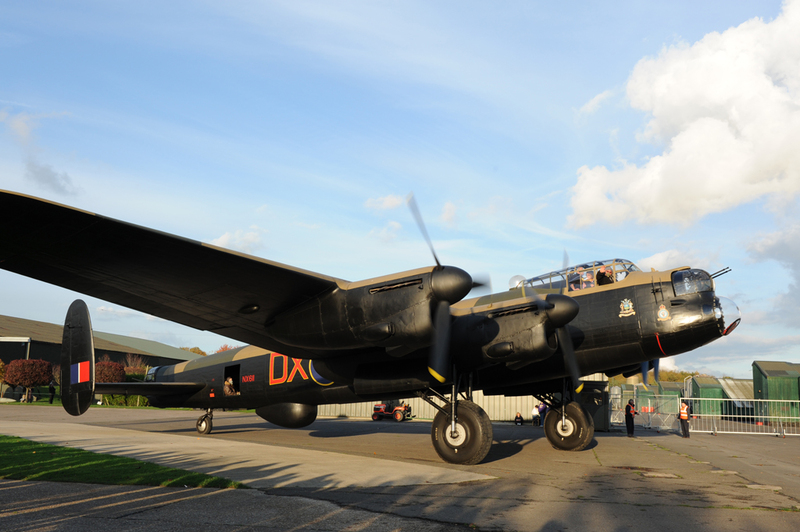 In mid January 2017 the former Bomber Command airfield at East Kirkby saw the arrival of Jeremy Hall's cockpit and composite fuselage of Canadian built Lancaster X AR KB976. 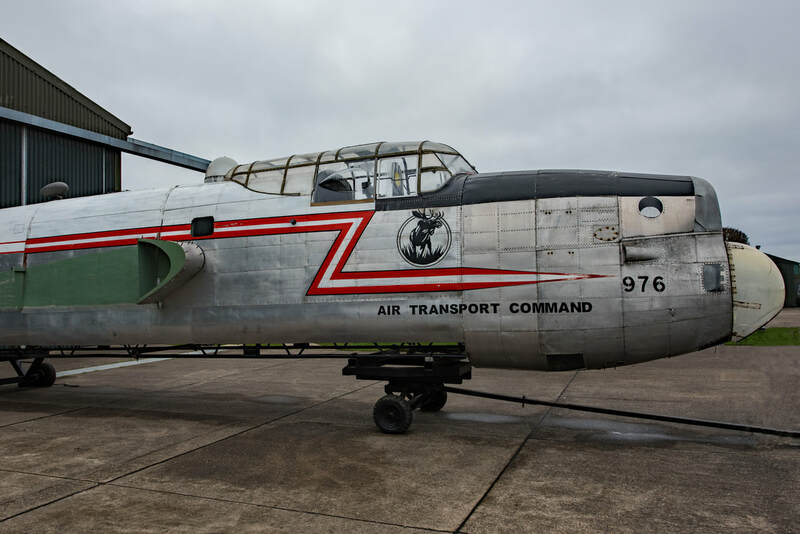 Formerly located at RAF Scampton, KB976 has taken up residence with the Lincolnshire Aviation Heritage Centre for an unspecified period of time and is currently on show to visitors. 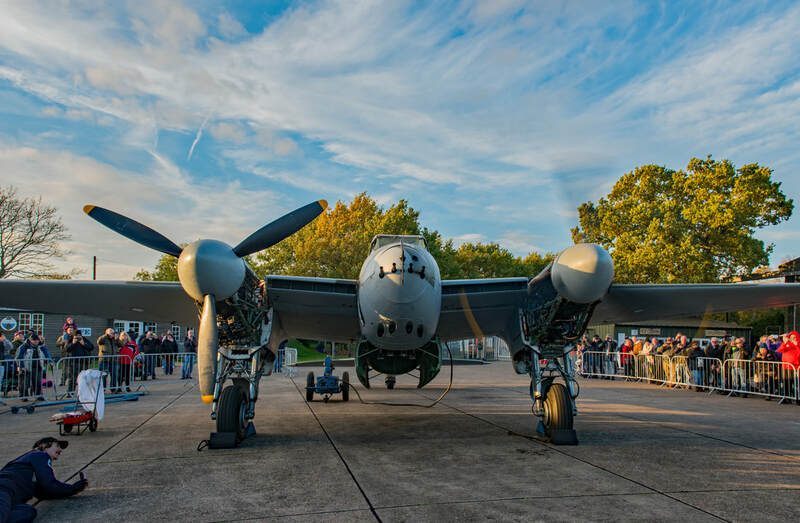 In late July 2017 De Havilland Mosquito NF.II HJ711 arrived at East Kirkby from her former home at the Yorkshire Air Museum Elvington. 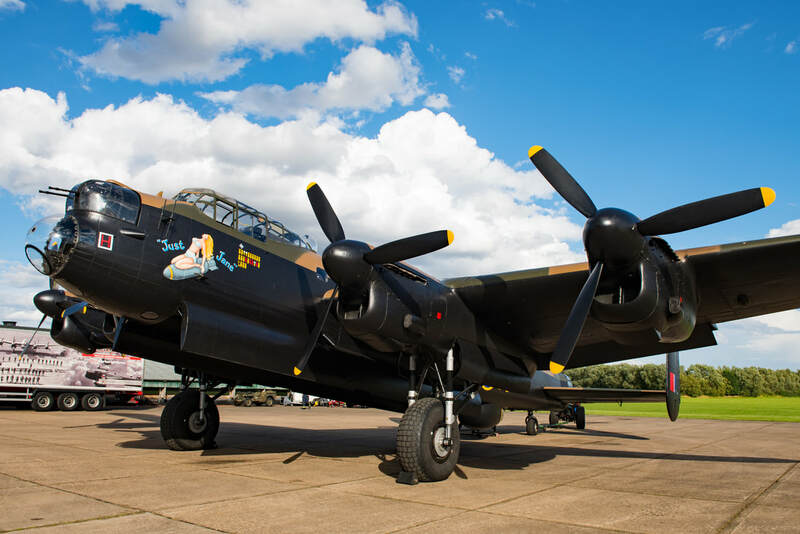 The aircraft once flew with 169 Squadron based at RAF Little Snoring and is credited with shooting down a Messerschmitt Bf110 over Berlin. 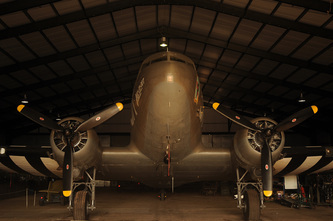 The aircraft has been owned for the past 40 years by Tony Agar. 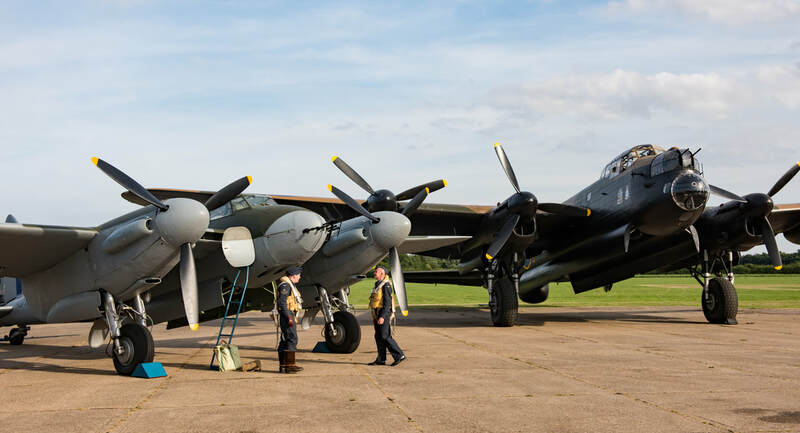 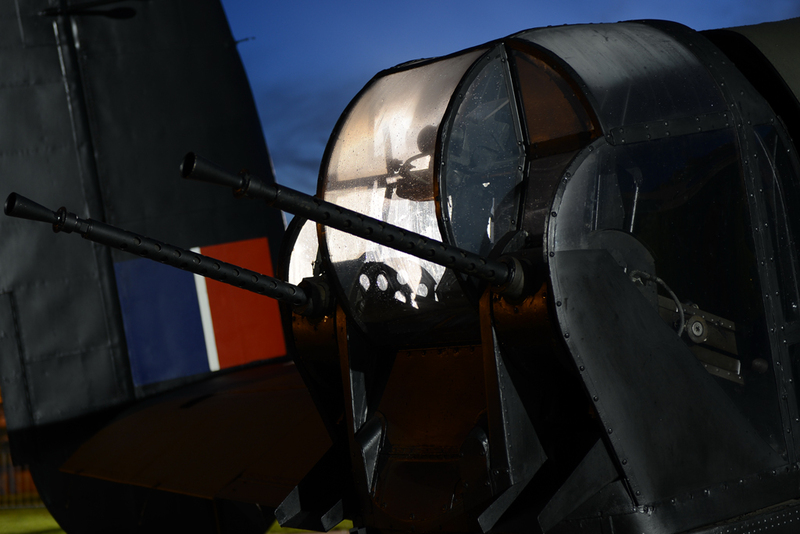 It is hoped that before long the sound of two more Rolls Royce Merlins will be heard at East Kirkby, as it is planned that the Mosquito will be reassembled into a condition where she can be taxied.